Summit are the biggest real estate company in the top of the South Island, employing over 100 staff across 5 offices. They approached UpShift to discuss rebuilding their old website with a modern responsive design that worked across smartphones, tablets and computers. We built the new Summit website on Silverstripe, creating a highly configurable CMS (Content Management System) and custom integration to Summit's business systems. 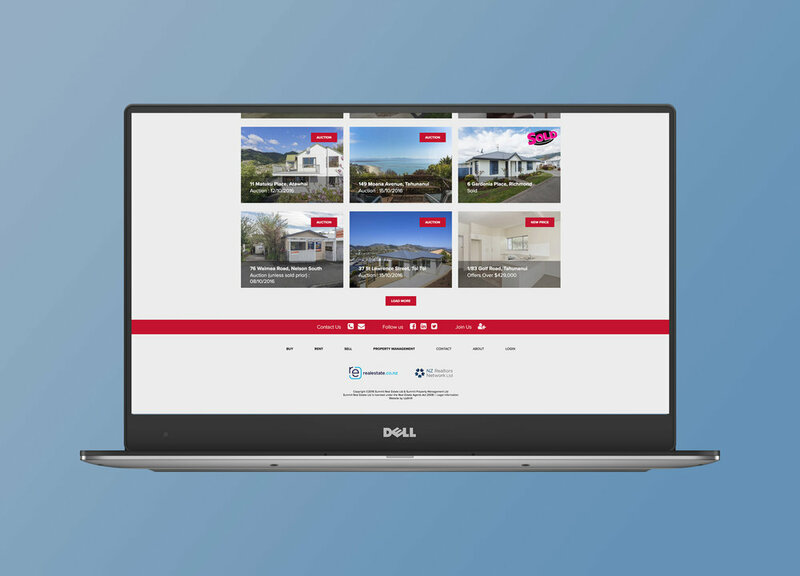 The system integration and custom functionality we developed enables Summit to email their interested clients minutes after new property listings are published in their internal systems. Summit launched their new website with a cross media marketing campaign giving away 24 holidays to their clients.